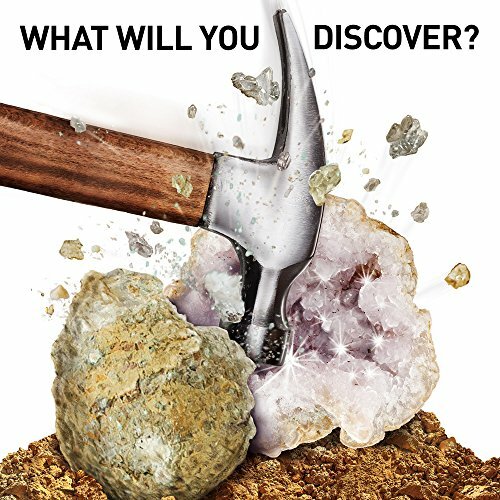 Discover crystal treasure!geology doesn't get more exciting then breaking open rocks and finding crystal treasures! 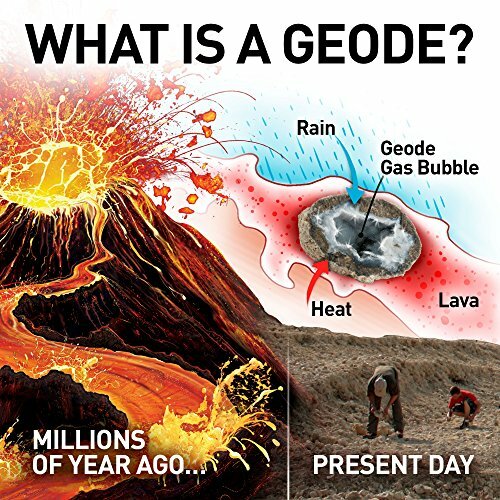 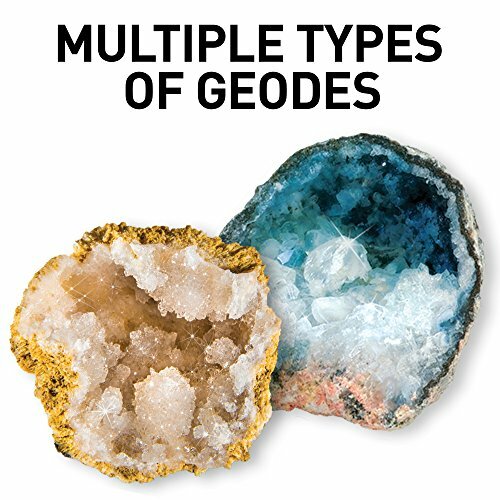 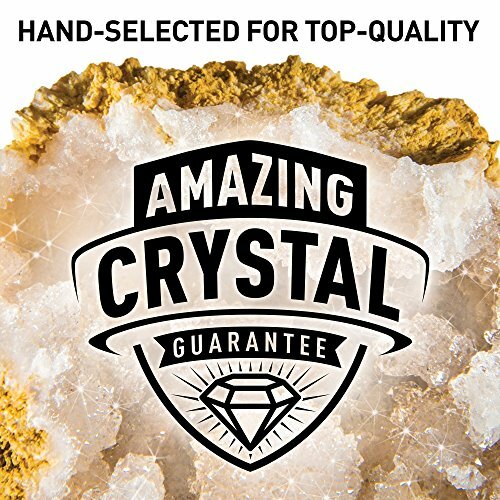 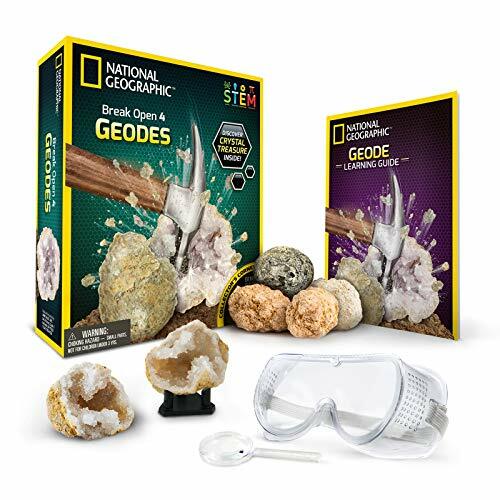 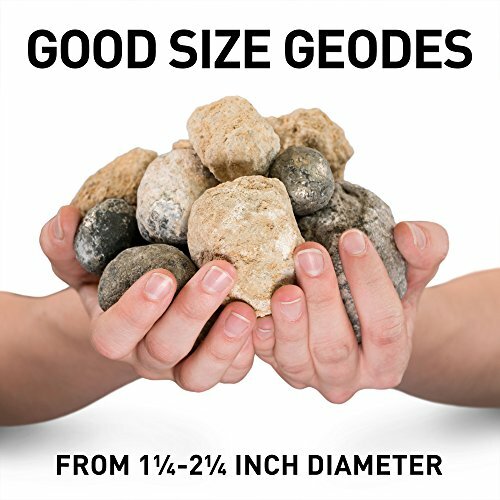 Geodes can form with a variety of crystals inside and National Geographic brings you the best variety from around the Globe. 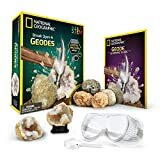 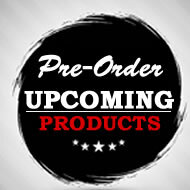 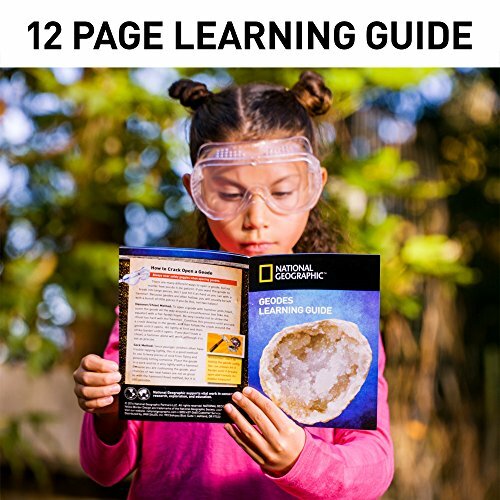 This earth science kit provides a hands-on science experiment that you and your children are guaranteed to love.this science kit includes: 4 high-quality crystal filled geodes, safety goggles, display stands, and full-color learning guidethis is a perfect activity for energetic boys and girls! 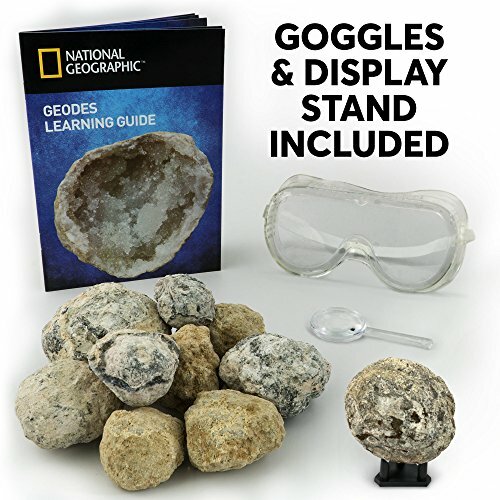 The included display stands are perfect for showcasing the crystals you find and starting a rock collection, while the learning Guide will teach you many amazing facts about geodes!national Geographic toys is proud to provide a 100% satisfaction guarantee with all our products so that you can buy with confidence.about the National Geographic societywith a mission to inspire people to care about the Planet, the 126-year-old National Geographic society is one of the world's largest nonprofit scientific and educational organizations.national Geographic’s net proceeds support vital exploration, conservation, research, and education programs.